Established on 18th July 2005, Kasturi Ram College of Higher Education, also known as KRCHE, is situated in North West Delhi. It was set up with the backing of Kasturi Ram Research Centre for Science & Management by Prof. K. K. Aggarwal, the Honourable Vice Chancellor of GGSIP University. Kasturi Ram College of Higher Education is affiliated to Guru Gobind Singh Indraprastha University, New Delhi. 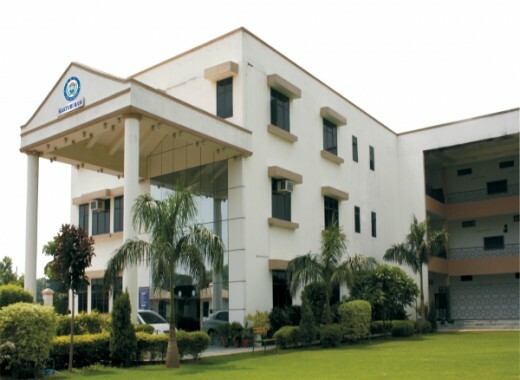 One of the premier colleges of Delhi, the college was founded to provide higher education to deserving candidates. KRCHE is approved and recognized by the National Council for Teacher Education (NCTE), Jaipur. It was accredited by the National Assessment and Accreditation Council (NAAC) with "B+" Grade (CGPA Score 2.60 on a 4 Point Scale in the 1st cycle) on 19th July 2017. The college is also ISO 9001:2008 certified. The college was set up with the aim to provide the best quality of education to students who want to become the future teachers of our country. At this college, with a balanced approach of mixing human touch and technology, the aspiring teachers are taught to educate the future generations of our country so that apart from having satisfying careers, these budding teachers can also serve the nation. Kasturi Ram College of Higher Education offers a Bachelor of Education (B.Ed) course for a duration of two years. To get admission to this course, candidates must have scored 50% marks in their graduation from a well-known university. However, SC, ST and OBC candidates are given a relaxation of 5% marks. Under the affiliated university, the B.Com (Honors), BBA (General) and BJMC undergraduate courses are offered for a period of three years. The college has well-equipped with modern facilities like library, laboratory, classrooms, computer lab, canteen, seminar halls, common rooms, auditorium, multipurpose halls, & playground etc.